This is an ideal base from which to explore Dumfries and Galloway, and it is only 30 minutes to Carlisle, the border city to the Lake District, and 90 minutes to Edinburgh and Glasgow. A huge range of activities and events are available in Dumfries and Galloway to make your stay special, no matter what time of year you visit. There is a range of fascinating museums including the Aviation Museum, Burns House and Dumfries Museum & Camera Obscura. There are plenty of historic areas to visit, too, including Caerlaverock and Drumlanrig Castles, and Sweetheart Abbey. For activities when the sun is shining, try mountain biking and enjoy several of the 7Stanes trails which are described as mountain biking heaven. Or go on a hike to find some more of the prehistoric art carvings that have been discovered in the region. You can also enjoy horse riding, golf or loch fishing (5 minutes away). 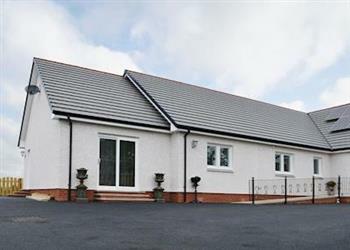 Once you have built up an appetite, you can cook in the well-equipped kitchen at Kirkland Burn, then enjoy a glass of wine in your own garden followed by a dip in the hot tub - or you can take the night off and eat out at one of a range of award-winning restaurants and cafés which are within easy reach. With stunning scenery, sweeping beaches and spectacular sunsets, this really is an area where you can relax, unwind and let your imagination run wild. JM Barrie created Peter Pan here - let’s see what you can conjure up! The shop, pub and restaurant are ½ mile from Kirkland Burn near Dumfries. Ground Floor: 2 steps to entrance. Kirkland Burn is all on the ground floor. Living room: With electric coal-effect fire, Freeview TV, DVD player, Blu-ray player, CD player and Wii. Kitchen area: With electric oven, electric hob, microwave, fridge/freezer, dishwasher, wooden floor and patio doors leading to garden. Oil central heating, electricity, bed linen, towels and Wi-Fi included. Welcome pack. Large, enclosed lawned garden with flagged area, garden furniture and barbecue. Hot tub. Bike store. Private parking for 3 cars. No smoking. No children. Please note: There is a stream in the garden. Holidays at Kirkland Burn run from Saturday to Saturday. For a better idea of where Kirkland Burn is, you can see Kirkland Burn on the map below. Kirkland Burn is in Dumfriesshire; should you be on the lookout for a special offer, you can find all the special offers in Dumfriesshire. It's always worth checking to see what is on offer at the moment. 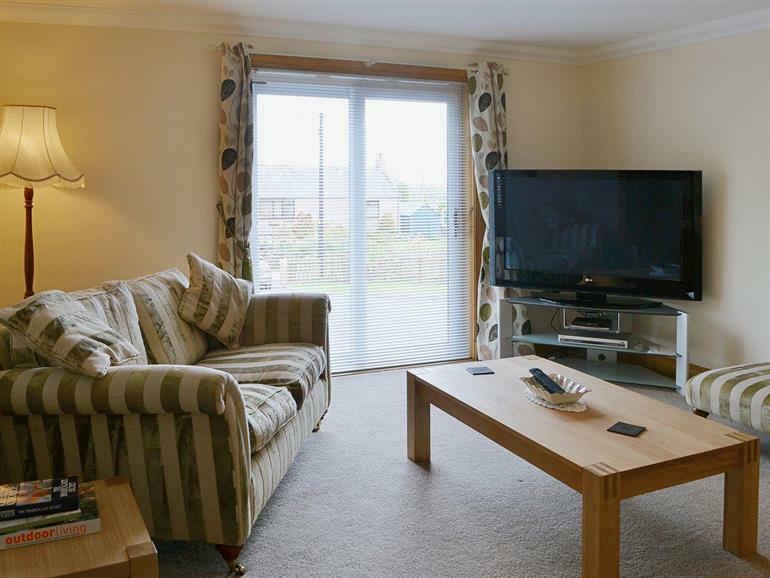 Do you want to holiday near Kirkland Burn (UK5081), you can see other cottages within 25 miles of Kirkland Burn; have a look to find your perfect holiday location.